Because cancer-related weight loss is caused by metabolic changes, it often occurs regardless of your eating habits. ProSure should supplement, not replace, your meals. People who are experiencing cancer-induced weight loss or who are at risk of this complication may benefit from two 240-mL servings of ProSure® per day in addition to a regular diet. Clinical studies have shown that two servings of ProSure® (2.2 grams of EPA) address the metabolic changes seen in people with cancer-induced weight loss, and promote a gain in weight and lean body mass. 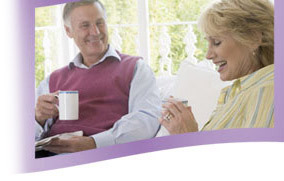 ProSure® should be used for a minimum of three weeks to obtain benefits. The recommended daily intake of ProSure® is two 240-mL servings per day. ProSure® is usually served chilled. The supplement should be vigorously shaken and is best if consumed directly from a covered container through a straw. ProSure® should be consumed in the place of other low-calorie beverages, such as coffee and tea. Unused portions should be covered and refrigerated for consumption within 48 hours. Recipes that use ProSure® can be obtained here. As with any oral supplement, patients who previously had little or no oral intake may prefer to begin supplementation with one-half serving, working their way up to two servings per day. ProSure® is available in 240-mL tetras or 500 mL ready-to-hang bottles. In a tube-feeding regimen, two 240-mL servings or one 500 mL bottle of ProSure® each day will provide 600 Cal and 32 g of protein, in addition to the recommended level of 2.2 g of EPA. The remaining daily calorie requirements should be provided by the most appropriate standard tube-feeding product.